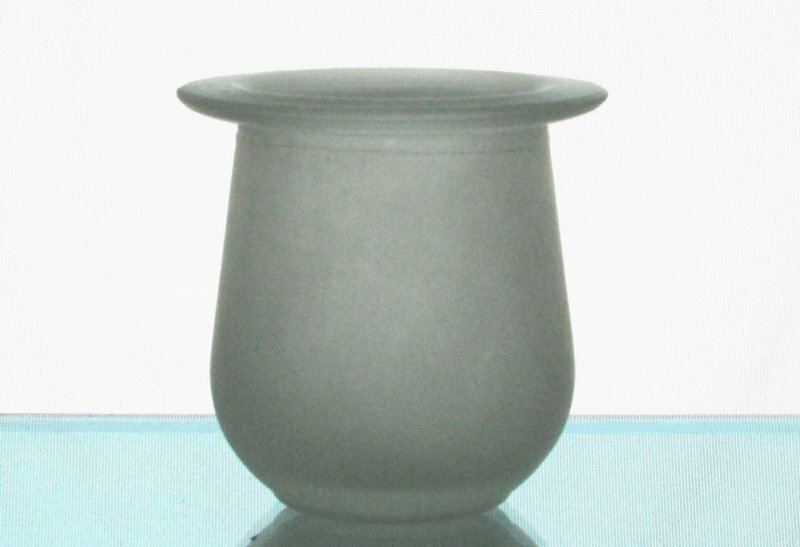 Adorable miniature crocks in frosted glass, these flat rim holders are perfect for Candle Chandeliers, stands or even table top use. They measure 2.75 inches wide at the top and stand 2.75 inches tall. 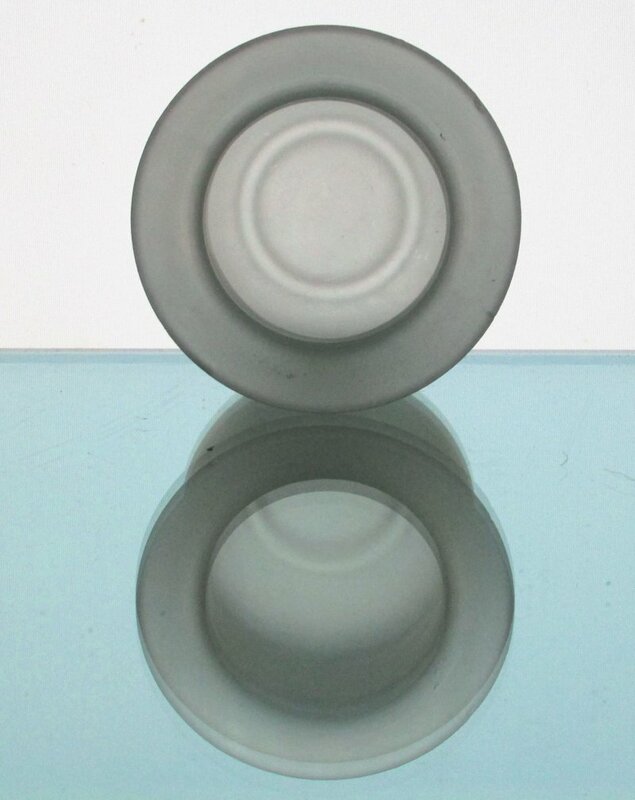 Perfect holder for tealights or standard votives. 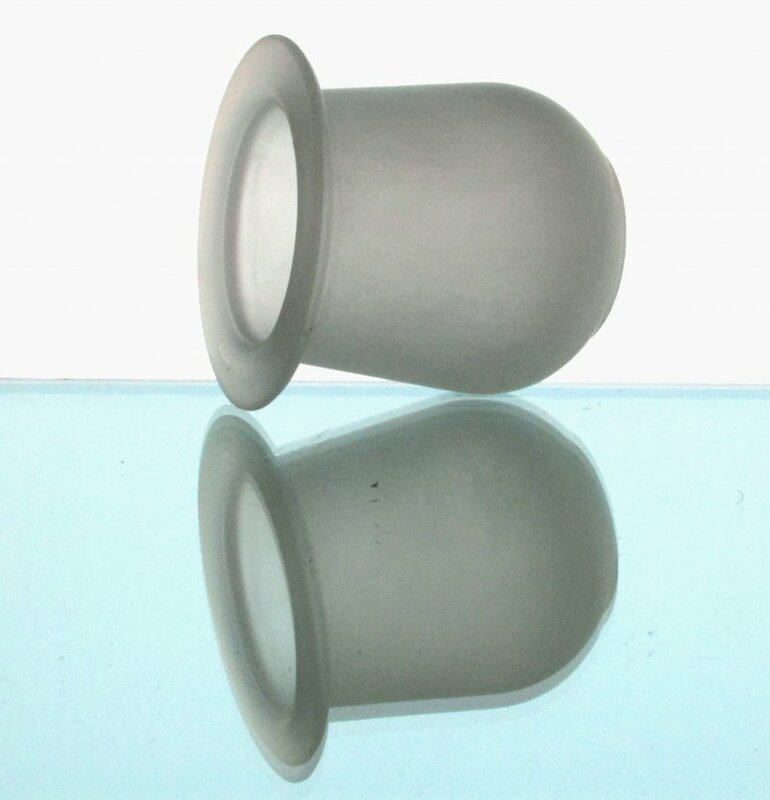 Fits in support rings that measure from 2 3/8 - 2.5 inches (inner diameter measurement) See Long Description for more info. 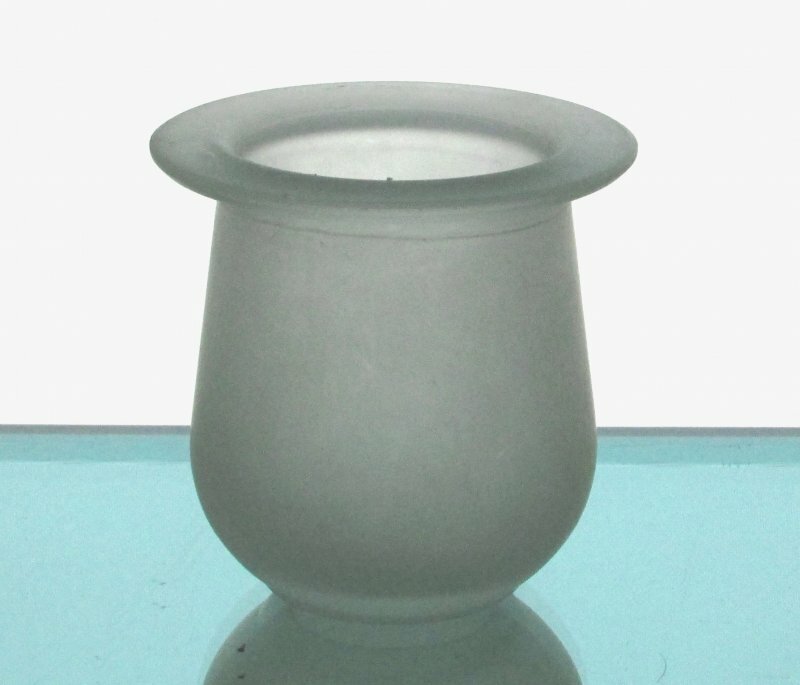 Recommended use is with tealights that come in metal tins or standard size votives.. 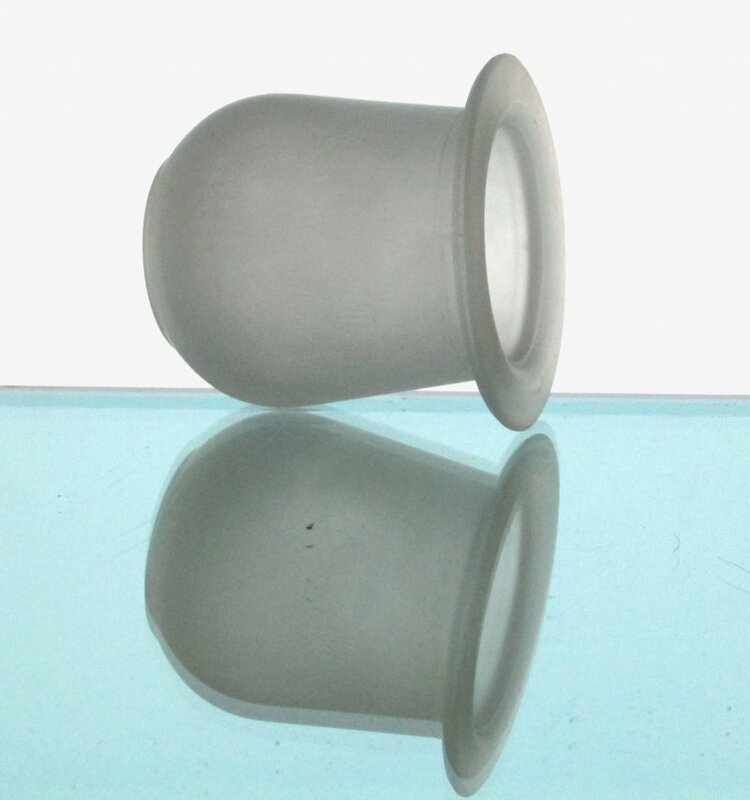 The candle holder rim covers the top of the ring and extends outward. Please measure your support rings carefully. It is the purchasers responsibility to be sure this item will fit in their support ring. Measure from one side to the other on the inside of the ring. Be aware of design features that may impede a holder from sitting correctly in your stand. 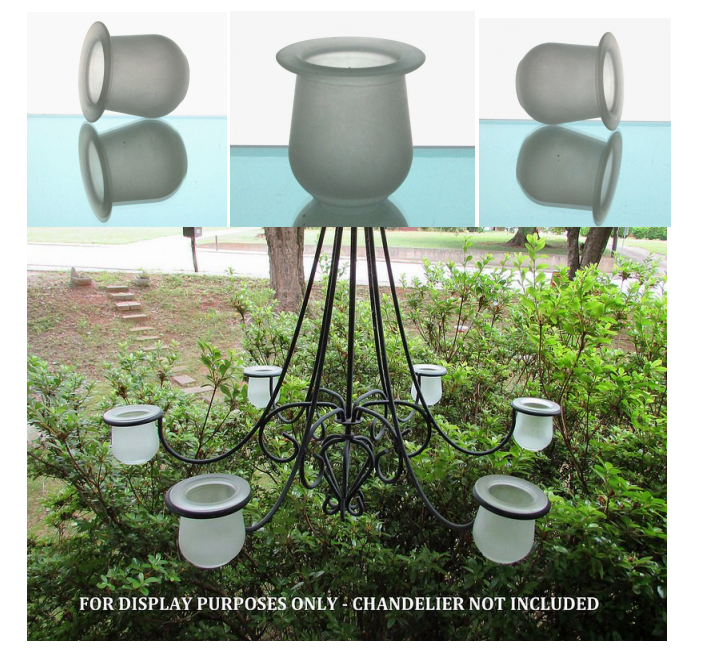 Hanging Candle Holder Frosted Crock for 2 3/8 - 2.5 inch rings HCH099 Shown displayed in chandelier. 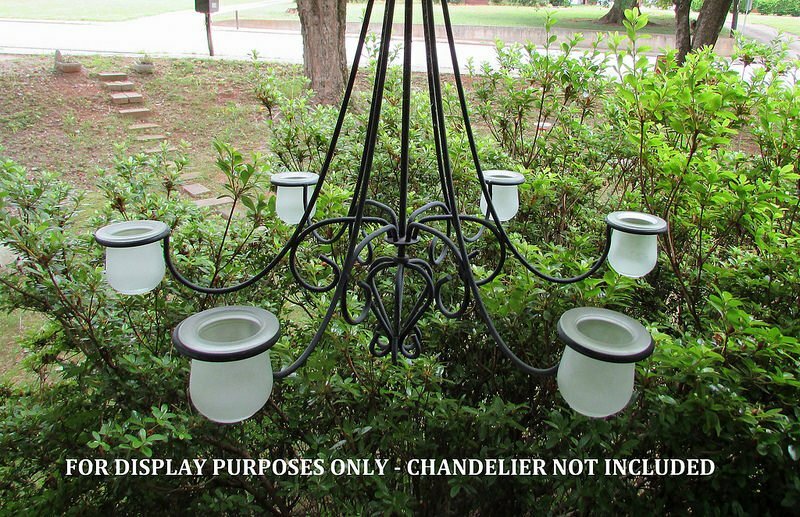 Chandelier is not for sale.